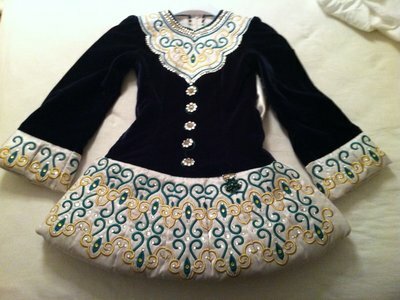 Beautiful Avoca Designs (Ann Ash/Dancing in Celtic) solo dress for ages 8-11+ depending on size of dancer. In near perfect condition, non-smoking home. Very light-weight dress, has the perfect amount of sparkle with both clear and gold (yellow) Swarovski crystals. 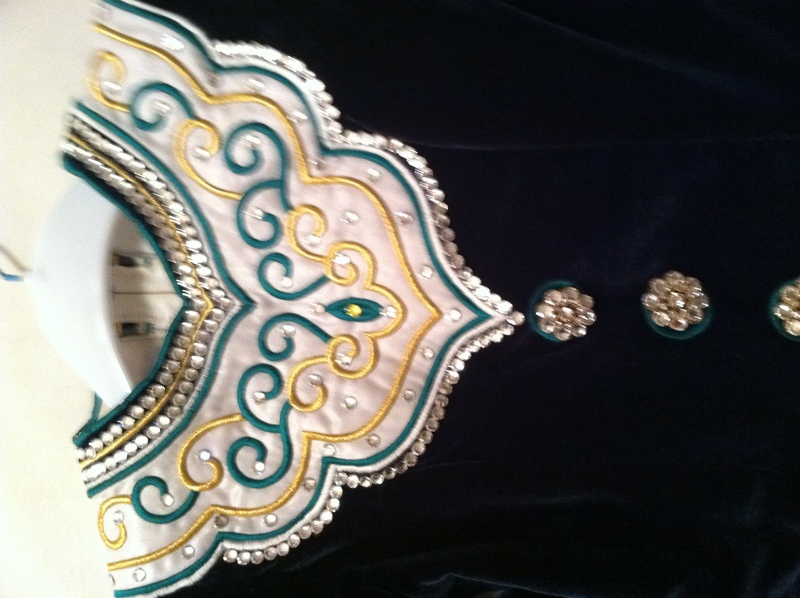 Fully lined, forest green velvet, and white twinkle satin. 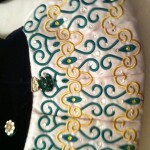 Traditional Celtic embroidery in green and gold on white puffball, cape, and sleeves with very nice attention to detail. 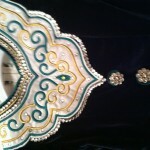 Cape has added gold ruffle which can be removed for a more simple look. Room for let-down at skirt, let-out at bodice. 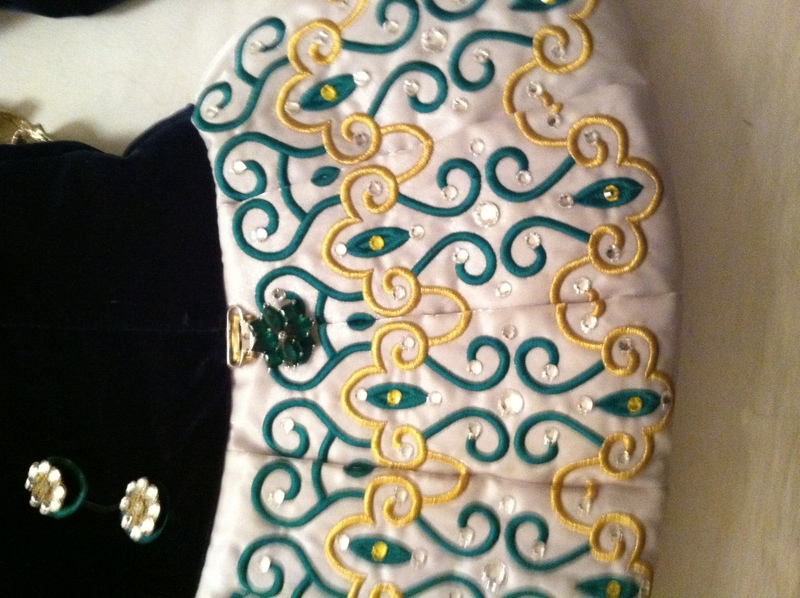 Comes with 2 crowns (one barrel, one traditional), and white spankies. Let down at skirt, let out in bodice.